This is according to Senior Pastor at the New Life Baptist Church Bishop John I. Cline, who appeared as a guest on the CBN Channel 51 television show, Vigilate Dialogues, on August 26, 2017 to discuss the new initiative, Virgin Islands (VI) Male Call 2017. The host of the show was Shaina M. Smith. VI Male Call 2017, which is spearheaded by the New Life Baptist Church, stemmed from the idea of the Save the Seed theme some 20 plus years ago when Bishop John I. Cline received the inspiration. Bishop Cline further stated that along the way Male Call was phased out but he believed that this is the right time for the territory and he revisited and brought some of the things to life. “The need for us to all show some kind of responsibility in terms of building our nation whether it’s from an economic, religious, social, political stand point, I think the time is now that we can try to galvanise men,” Bishop Cline stated, adding that there can be a ‘Female Call’ as well. 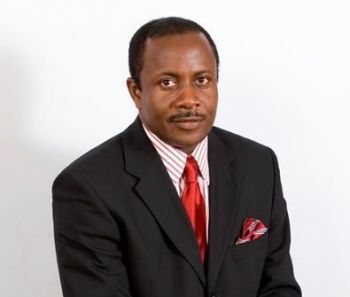 The senior pastor noted that this time, the plan is to take Male Call from a Virgin Islands point of view. “We are looking for persons from Virgin Gorda, business community –some of our speakers will reflect that- and we are looking at it from a political stand point. We are looking for people that sit on the corner that doesn’t ordinarily have a voice but have a story and we want them to come in and tell their story,” explained the Bishop. Bishop Cline pointed out that the programme is aimed at young boys from ages 8 and up, where the older can impact some wisdom and instructions to them and the younger boys can ask questions of the older men. The event is set to kick off on Friday, September 1, 2017 at the Noel Lloyd Action Movement Park at 5:00 P.M. This will be the opening session where various guest speakers will address different topics and rally for the cause. 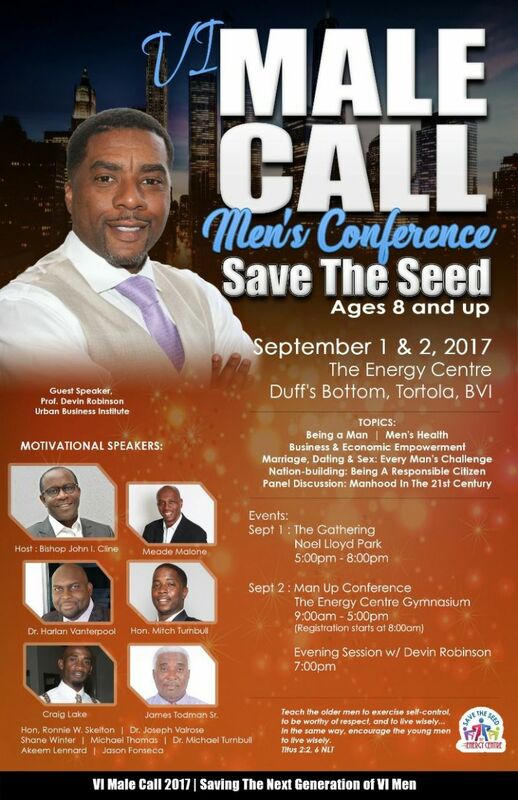 On Saturday September 2, 2017 the programme continues at the Save the Seed Energy Centre Gymnasium at 9:00 A.M. where the topics will address everything that affects male in the Virgin Islands. Guest speakers will include Professor Devin Robinson, Minister for Health and Social Development Honourable Ronnie W. Skelton (AL), Virgin Islands contractor James Todman Sr., and many others. “We want to make it a time of fellowship but also informational where people can walk away knowing that it has had an impact in their lives,” said Bishop John I. Cline. We'll either deal with the issue now, or later, but rest assured that at some point we will have to confront the problem. I think this is such an excellent idea . Timing is right too. I will be there!!! Promote Christian living, godly life style in our country. Cant listen to this man at all. His life has to first be an example to lead. Come on man... Grow up! He won't be the only presenter... You aren't perfect and neither is he! If you can do better, then you organize something that will motivate men and boys in our community and let's see how many people listen to you! I am very thankful for this move...but we as a society must also remember there are other influential males in our society outside of the Christian faith...we need to get some of those guys also in the mix because we are a mixed society of different beliefs...regardless if they state we are a "Christian Society"